The familiar General Electric 70-tonner was found almost everywhere. With a single engine delivering 600 horsepower and weighing 30 tons less than a standard 600-hp. switcher, its market was aimed at undercapitalized steam powered short lines and industries. 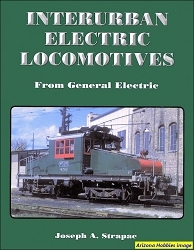 Versions were adapted for industrial, export and narrow gauge service. Over 400 70-tonners were built between 1946 and 1957, eventually operating from Canada's Hudson Bay to Chile. 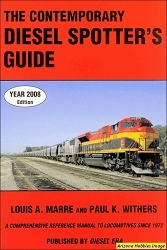 This book details the 200 domestic units and another 200 exported variations. 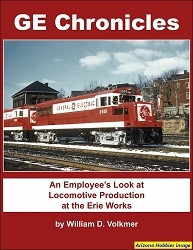 Over 270 B&W photographs of Class 1, short line, industrial, narrow gauge and export users. Includes a complete production list. 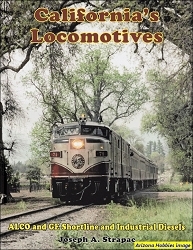 Shade Tree Books, softcover, 172 pages, 8.5 x 11 x .5 in., 270 black-and-white photographs.